I watched the first, double (at 1 hour’s length) episode of the BBC’s new adaptation of Bleak House tonight. It’s probably to early to really say, but it’s impressive so far. The kind of old school adaptation of classic books. I do think that Dickens, in particular, does lend itself to long running serials. Dickens after all, used to write his books as serialisations, and would frequently embark on one main story arc only to change to another as he realised what his audience were demanded – much like the long running American tv series’ do these days. I confess that I have never actually read any Dickens. 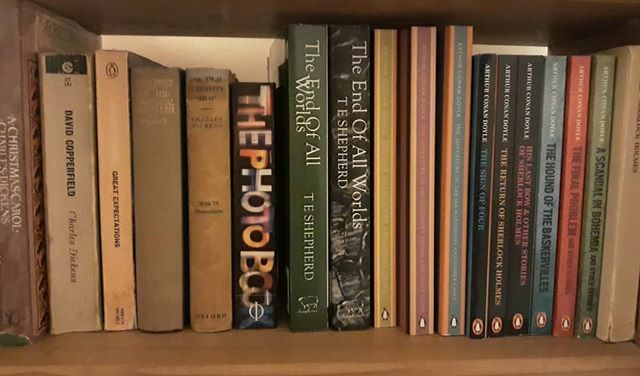 Which is silly really, since I have a complete set in secondhand hardbacks that I picked up for a fiver one day. Do you find that when you were watching it you kept going: Is that? Now who’s that? Damn, what’s his name? …as the roll call of British Actors came out? Not even ‘A Christmas Carol’? !